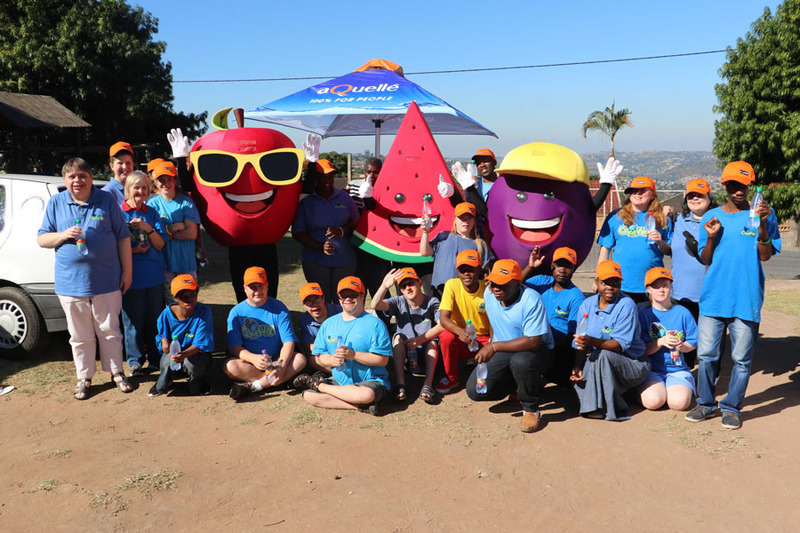 KWAZULU-NATAL – aQuellé recently concluded their “Triple the Joy” campaign which saw the brand travel over 4800 kilometres across South Africa and distribute bottles of water and gifts to children and adults in underdeveloped rural communities. The three-month campaign, which ended in August, followed the #SpreadTheJoySA” summer campaign. 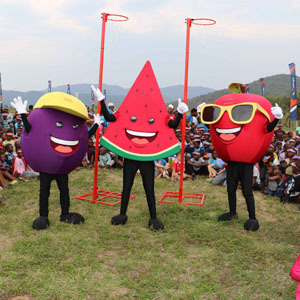 That campaign introduced consumers in the major centres of Durban, Cape Town, Johannesburg and Port Elizabeth to three limited edition sparkling water flavours – watermelon, granadilla and apple. According to aQuellé managing director Arno Stegen, the public response had been such that all three limited edition flavours rolled out for the campaign had been added to aQuellé’s permanent line-up. “We had intended to choose just one flavour when the campaign ended, but the public voted in favour of keeping all three. In response, we also multiplied our giving back to the community,” said Stegen. 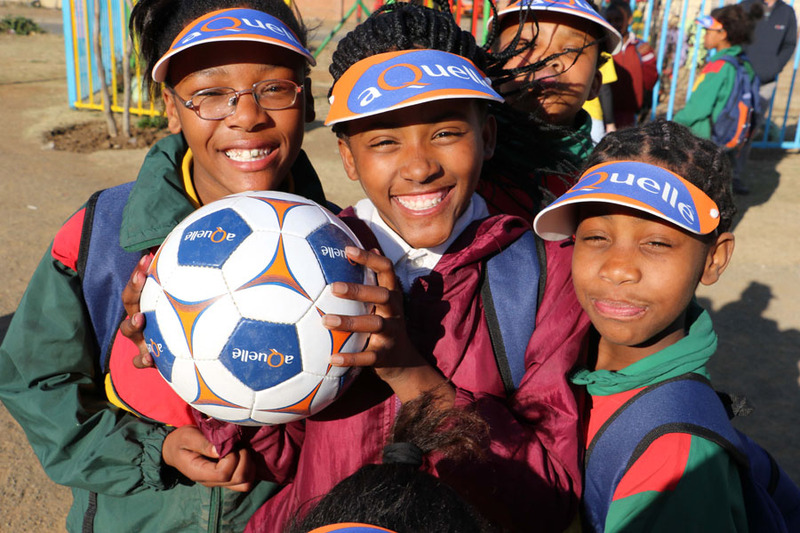 The aQuellé new flavour mascots visited non-profit organisations in three provinces, distributing bottled water, meals and donations such as gazebos, playground equipment, schoolbags and stationery to beneficiaries. “The premise behind the community campaign was that joy is meant to be shared. So, we asked the public to share stories on social media about organisations they knew of that deserved a bit more joy. We were really touched by what we heard and selected four to visit,” said Stegen. The campaign kicked off in May with a visit to the Careways Siyanakekela Centre in KwaNdengezi, KwaZulu-Natal. Here intellectually impaired adults meet once a week to learn basic skills and take part in activities that help them to build self-esteem and find their place in the community. 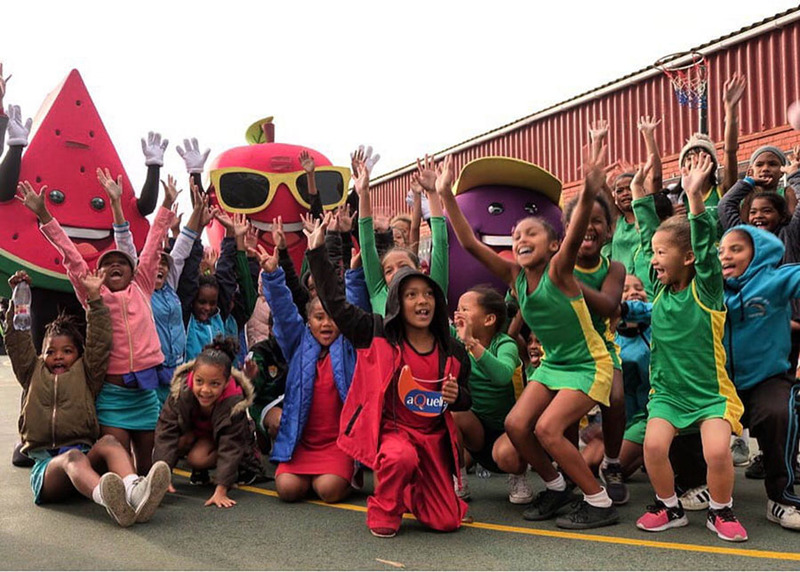 In June, the team visited the Goldhill Legends Netball Club in Mitchell’s Plain, Cape Town. The club draws players as young as seven from the impoverished communities of Hanover Park, Lavender Hill, Delft and Mitchell’s Plain, keeping them off the streets and away from the gangsterism that plagues these areas. In July, it was the turn of the Reach our Community (ROC) Foundation in Bloemfontein. The multi-purpose community centre addresses the challenges facing orphaned children, including the impact of HIV/Aids, poverty and malnutrition. The campaign wrapped up in August, with a visit to the Maqhogo outreach in the Tugela Valley, where, among its many projects, the mission runs weekend activities for rural children. “Our brand promise is ‘100% for people’, so in bringing some moments of joy to these often-overlooked communities, we hope we have lived up to that,” said Stegen.